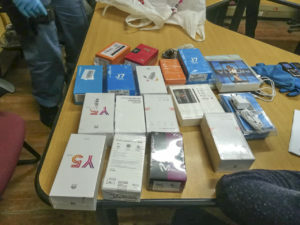 Grahamstown Police arrested eight suspects following an armed robbery in King William’s Town on Wednesday 16 January. 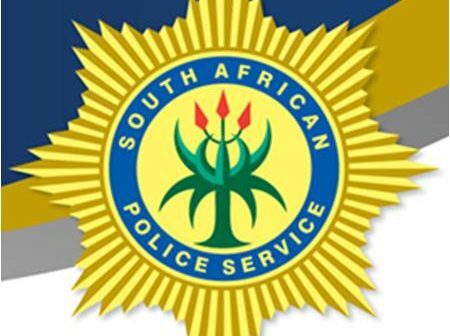 South African Police Service spokesperson Colonel Sobingile Soci said Grahamstown Crime Intelligence, Grahamstown Highway Patrol, K9 and Joza Vispol were key to a joint operation with police from King William’s Town, Alice, East London and Port Alfred following the robbery at a retail outlet in King William’s Town yesterday afternoon. More than 50 cellphones and an undisclosed amount of cash were taken in the robbery. No shots were fired asnd there were no injuries reported in the robbery, which took place shortly before 4pm in the CBD. Three suspects were arrested and several cellphones suspected to have been stolen during the robbery were recovered in the vehicle. 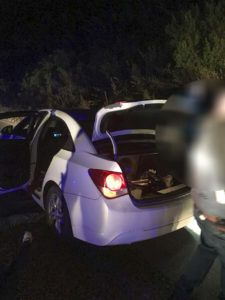 “A second vehicle, a white Chev Aveo, also allegedly involved in the robbery, was later stopped outside Grahamstown by the Grahamstown Highway Patrol, K9 and Joza Vispol. A further five suspects were arrested. Four firearms and several more cellphones were recovered,” Soci said. The suspects face several charges including armed robbery, possession of unlicenced firearms and unlawful possession of ammunition. Acting Provincial Commissioner, Major General Andre Swart, applauded the clusters for their excellent teamwork in effecting the arrests. 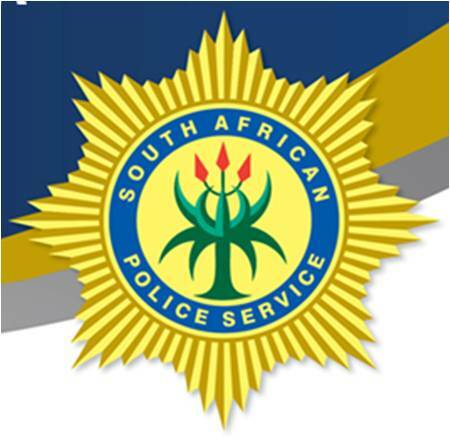 “The SAPS in the Eastern Cape are committed to ridding our streets of criminals and we will continue in pursuit of our mission to create a safe and secure environment for the community that we serve,” Swart said.